On the second day of the Army-2015 expo near Moscow, Russian armed forces and special services are showcasing various ground vehicles, from the terrifying Iskander missile launcher to a gentle-riding GAZ-3344 all-terrain vehicle. In addition to a rare demonstration of an in-field loading of Iskander missiles, this day’s demonstration also included various armored military vehicles running an obstacle course. The show also featured a special guest, Eduard Nikolayev, the Paris-Dakar rally champion of 2013 piloting a race-built Kamaz truck. 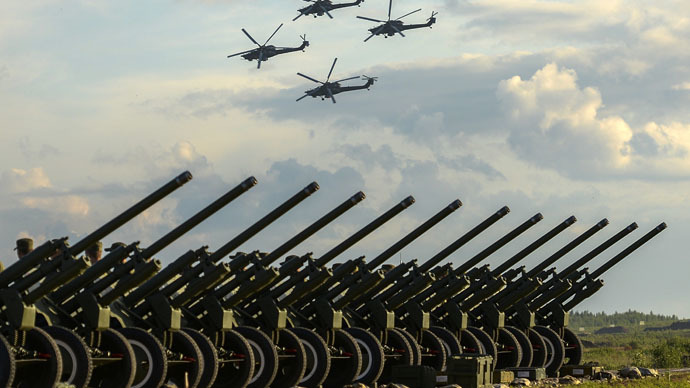 The international exhibition in the town of Kubinka was organized by the Defense Ministry. Starting Wednesday, the expo is open to all visitors wishing to see what the Russian military produces and what hardware visiting manufacturers from other countries have to offer. The expo is to continue through Friday.